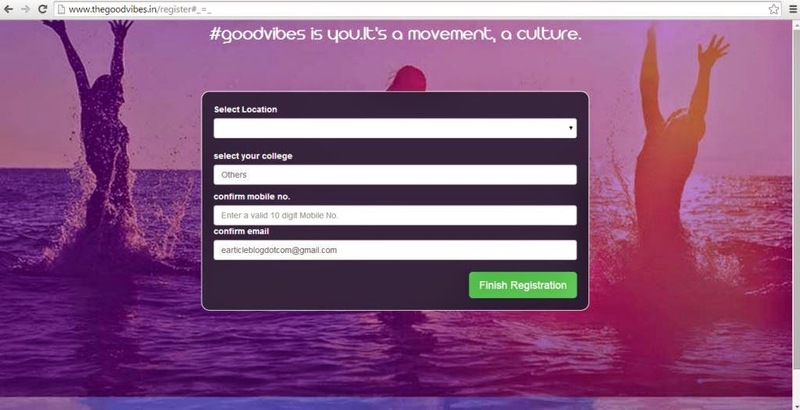 A site named Goodvibes is giving away exciting prizes for referring friends. Its completely based on referral points. When you get complete 5000 points you can avail it to get a trip tickets or some gadgets. 2. After site opens, click on "JOIN NOW" button. 3. To join you have to Login via Facebook. 5. After that click on Finish Registration, now you will get a code on your mobile, enter that code and click on submit. 6. Now you will get your own link to share. 7. Share that link with your friends and tell them to register with this link. 8. When they register you will get a mail regarding your points. Note: After few searches, got note that free recharge coupon was only for first 10,000 users only. So now you will not get coupons you will only get points which you can avail for getting gadgets.